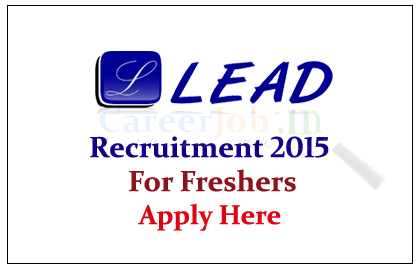 LEAD Group is recruiting freshers for the post of RF Engineer and Technician for the year of 2015. Eligible candidate can apply here as soon as possible. LEAD is a young and dynamic telecom service providing company incorporated in the year 2012. We work on many installation and maintenance projects from telecom services giants. Eligible Candidates can apply through this above Email id with updated resume as soon as possible. As per Lead Group policy, we induct fresh Engineers /Supervisors at entry level, provide them on the job training and absorb them in the permanent cadre of the company on completion of the training. Candidate have to go through 30 days (RF engineer) or 10-15 days (Technician) training period in which he would be trained by our Engineers on field, his hiring would totally depend upon his performance during the training period. There would be no charges of the training i.e. company does not charge a fee for the training as well as there won’t be any stipend provided by the company either. All freshers with no or little experience are invited to apply. Candidate must be ready to relocate anywhere in India. Note -Laptop is mandatory for the candidates.